Speedway, its affiliates and subsidiaries (“Company”) recognizes and respects the privacy of its customers and visitors to this Web site (the “Web Site”). It is our goal to help our customers retain their privacy when they visit our Web Site. (1) Collection of Personal Data from Site Visitors. As you navigate within our Web Site, Company may automatically collect and/or track (1) the home server domain names, e-mail addresses, type of client computer, and type of Web browser of visitors to the Web Site, (2) the e-mail addresses of visitors that communicate with Company via e-mail (3) information knowingly provided by the visitor in online forms, registration forms, and/or surveys and contest entries, and (4) aggregate information on what pages visitors access. Company may place Internet cookies on visitors' hard drives. Internet cookies save the visitor's name, password, user-name, shopping cart, screen preferences, the pages of the Company's Web site viewed by the visitor, and the advertisements viewed or clicked by the visitor. When the visitor revisits the Web Site, Company may recognize the visitor by the Internet cookie and customize the visitor's experience accordingly. Internet cookies are stored on the visitors hard drive and are not stored, in any form, by the Company. Visitors may decline the Internet cookie by using the appropriate feature of their Web client software, if available. When a visitor performs a search on Company's search engine, Company may record information identifying the visitor or linking the visitor to the search performed. As necessary to provide service, Company does record limited information for every search request and uses that information only to solve technical problems with the service and to calculate overall usage statistics. (2) Use of Personal Data Collected. Personal data collected by the Company will be used by the Company for editorial and feedback purposes, for marketing and promotional purposes, for a statistical analysis of users’ behavior, for product development, for content improvement, to inform advertisers as to how many visitors have seen or clicked on their advertisements, to communicate with visitors regarding their orders, and to customize content and layout of the Web Site. Data on visitors’ home servers is aggregated for internal review and then discarded. Names, postal and e-mail addresses, and phone numbers collected may be added to Company’s databases and used for future calls and mailings regarding site updates, new products and services, upcoming events for which a visitor has placed orders in the past, and status of orders placed online. (3) Disclosure of Personal Data to Third Parties. Company will notify visitors before posting collected personal data on the Web Site, or sharing, renting, selling, or otherwise disclosing personal data to third parties. Any third party to which Company shares, rents, sells, or otherwise discloses personal data will be carefully pre-screened by Company, determined by Company to be reputable, and will use the personal data for marketing products and services which Company determines, in its sole judgment, that visitors might find of interest. Company will disclose to third parties only information knowingly and voluntarily disclosed by visitors and only information in aggregate form. Through the use of third party cookies, advertiser may be electronically notified when visitors view or click on its advertisements. (4) Opt-Out Right. Visitors may opt out of having their personal data retained by Company, used by Company for secondary purposes, disclosed to third parties, or used by Company or third parties to send promotional correspondences to the visitor by contacting Company via postal mail or telephone. Company may be contacted at Speedway, 500 Speedway Drive, Enon, Ohio 45323; 937-864-3000. (5) Access to and Ability to Correct Personal Data. Upon request via postal mail, e-mail, or phone, Company will provide to visitors a summary of any personal information retained by the Company regarding the visitor. Visitors may modify, correct, change, or update their personal record or cause their personal records to be removed from Company’s database. Company will only send personal records to the e-mail address on file for the visitor name associated with it. (6) Collection of Personal Data from Children. Company will not collect or post information from children under the age of eighteen (children) without their parent’s or guardian’s consent. Company does not provide any personally identifying information collected from children, regardless of its source, to any third party for any purpose whatsoever. No information collected from children is used for any marketing or promotional purposes whatsoever, either inside or outside Company. Company encourages parents and guardians to spend time online with their children and to participate in any interactive activities offered on the sites. (7) Company’s Right to Contact User. Company reserves the right to contact site visitors regarding account status and changes to the subscriber agreement, privacy statement, or any other policies or agreements relevant to site visitors. (8) Company’s Right to Change Privacy Statement. Company reserves the right to change this policy at any time by notifying visitors of the existence and location of the new or revised privacy statement. (9) Security. Your security of your personal information is important and we honor your choices for its intended use. We protect your data from loss, misuse, unauthorized access or disclosure, alteration, or destruction. However, if we receive a subpoena or other enforceable order to disclose information, we will need to comply. In addition, if our company is sold, assigned, merged, etc., the successor company may receive and use your data subject to its own privacy statement. (10) Other Sites. This privacy statement applies only to this Web Site. While this Web Site may contain links to other third party sites, Company is not responsible for the practices or contents of such third party sites. (11) Enforcement. If for some reason you believe we have not adhered to these principles, please notify us through the Contact Us Section and we will do our best to determine and correct the problem promptly. Be certain the words Privacy Statement are in the Subject line. Speedway, the owner and operator of Speedy Rewards, is committed to maintaining your trust and protecting your privacy. You will always get straight answers from us about how we collect, store, use, share, protect and maintain the accuracy of the personal information held in our care. 1. We collect only what helps to serve you better. Enrolling in Speedy Rewards is free and completely voluntary. When you enroll, we collect your name, address and phone number. We store this information so that we can administer the program properly, process your rewards, and communicate valuable offers to you based on your interests. Upon enrollment, we also invite you to supply your e-mail address if you want to receive Speedy Rewards offers that way. This is not required to become or remain a Speedy Rewards Member. We may also present a short survey after enrollment asking about your household’s consumer activities and preferences. This information helps us create special Speedy Rewards offers tailored to you. Filling out this survey is completely voluntary on your part. From time to time, we may ask you to supply other information about your household’s consumer interests. This, too, is voluntary. Your decision not to participate in a Speedy Rewards survey or questionnaire will never affect your ability to use the Speedy Rewards Card to collect points, or to redeem them for rewards. 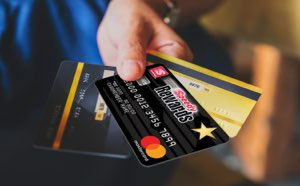 Here are some of the ways we use your information to serve you better: We use your personal information and your Speedy Rewards Card transactions to create tailored offers that make sense for you. As a Member you may set your own Privacy Boundaries and choose to “opt out” of almost any mailings at any time, or change your mind about what you have agreed to receive previously. 2. We keep your personal information confidential, accurate and secure. We apply advanced techniques in data processing and security to keep your records up-to-date and accurate, and to safeguard your data against unauthorized use. We store all Member data in secure, password-protected databases housed in facilities controlled by security personnel we select and procedures we mandate. We classify all Speedy Rewards Members’ personal information we collect as “Speedy Rewards Confidential.” We never permit “browsing” in Member files. Employee access to Speedy Rewards Members’ personal information is restricted to only those who need it to do their jobs, and only for legitimate and specific business reasons. In addition, our corporate Code of Conduct requires our employees to protect confidential information, including customer information, and not disclose such information outside the company. If you suspect an error in your points balance, we urge you to bring this to our attention in the same ways listed above. We will investigate any potential discrepancies between your records and ours. If we determine that an error has occurred, we will correct it, and make sure you receive the points to which you are entitled. 3. Except as provided below, We do not give, rent or sell Member information to anyone outside the Speedy Rewards Program. 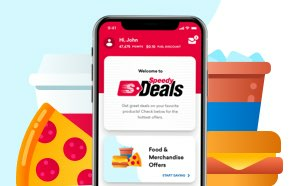 Speedway, the owner and operator of Speedy Rewards, promises to share your data only inside the “Speedy Rewards Family” of partners participating in the Program. We will not share your personal information outside of the Program for marketing purposes without your express permission. We reserve the right to share your personal information as may be required by law or court order, or to ensure compliance with the Program's Terms and Conditions, or in cooperation with law enforcement to protect the rights, property or safety of Speedway, its customers and employees. We also bind all companies participating in the Speedy Rewards Program to our privacy standards and confidentiality rules, which means they are not allowed to share Speedy Rewards information with anyone outside the Speedy Rewards Program for marketing purposes. We also limit access to your personal data by companies participating in Speedy Rewards. 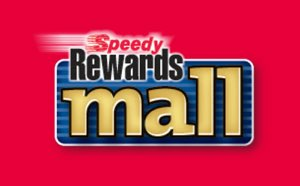 For example, we will not release your personally identifying information (name, address, phone number, email address) to Speedy Rewards participants except as part of a mailing list that we create on their behalf to bring you Speedy Rewards-approved offers only. Speedy Rewards participating companies agree in writing to return or destroy the list after its originally approved use has been met. In the unlikely event that the Speedy Rewards Program is ever sold to another company an essential condition of the sale would require the buyer to adopt all of Speedy Rewards Privacy Policies. 4. You can know what is in your Speedy Rewards record. 5. We let you set your own privacy boundaries. We know people differ in how comfortable they are in sharing their information for the purpose of receiving consumer offers, and that all consumers want to be able to exercise those choices easily and effectively. That is why Speedy Rewards allow Members to set their own personal privacy boundaries. You can decide to limit the information you provide upon enrollment to only your name and address. All other requested information is strictly optional. You may “opt in” and give us your email address to receive communications that way. We will not email you unless you give us explicit permission to do so. You may decide to “opt out” of receiving direct mail promotions and offers, other than those contained in the Speedy Rewards Member Statements we send periodically to active Members showing an updated record of points collected and redeemed. If we ever contact you by phone to participate in a brief survey, you may decline at that time, and if desired, opt-out of any more unsolicited phone contact. Rest assured that we will never bother you with an unsolicited fax. If, for any reason, you choose to end your membership in Speedy Rewards, we will permanently delete your personally identifying information from our records. Call us toll-free at our Service Center at 1-800-643-1948 between the hours of 7:00 AM and 8:00 PM Eastern Time, Monday - Friday and Saturday 8:00 AM - 12:00 PM Eastern Time. We pledge never to use your decision to opt out of any marketing communication or offer to affect your participation in the Speedy Rewards Program, or your ability to earn and redeem Member rewards. If we ever decide to change or update these policies, we will explain how on our website and notify all active Members in a mailing, or via email to those who have given us permission to contact them in that way. Thank you for becoming a Member of Speedy Rewards!